The macros are amazing on these waffles. They taste like dessert which is never a bad thing. 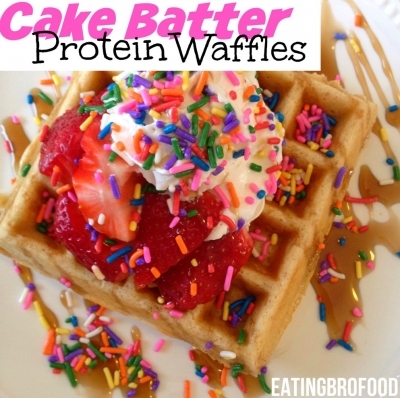 Seriously, just look at how perfectly cheerful these protein waffles are. They are simply beaming and sparkling. -Serve with the pudding topping and dusting of sprinkles!